The story of me and the wallcreeper is a very long one, indeed. And the eventual lifting of the nemesis curse didn’t mean I had it easy afterwards finding wallcreepers – contrary to what birding lore mandates. Indeed I still haven’t seen another one, and am still deprived of the privilege of watching it forage and marvelling at its unique combination of black, grey and crimson. 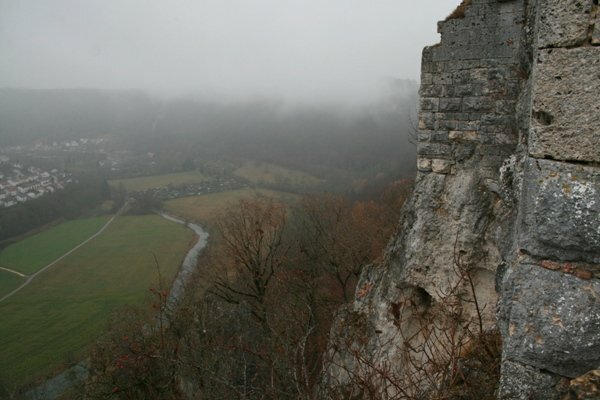 You will thus clearly understand that I had to follow the wallcreeper’s call to the rocks below the ruins of Rusen castle, or Rusenschl0ss as it is called in Germany, in the beautiful valley of the river Blau near the equally stunning small town of Blaubeuren just recently. A single wallcreeper has taken up its winter residence there for the second year in a row and has been enjoying many a birder’s company in the last few weeks. The rocks are separated into three cliff faces, each approximately 30 metres wide and between 20 and 30 metres high. They are reasonably well accessible, and finding the wallcreeper there is a piece of cake. In good weather. I had been warned that searching for wallcreepers in rainy, overcast conditions was a quest of forlorn hope. Hope is the thing with feathers, they say, and so I parked my car in the valley below the ruins one fine morning a few days ago, and started off towards the rocks through a misty, drizzly rainy mess. When the clouds were low, it was misty with a fine drizzle entering every pore of your clothes, and when the clouds lifted occasionally, the rain came down in earnest. I sincerely hoped that hope was the thing with big, fat feathers. 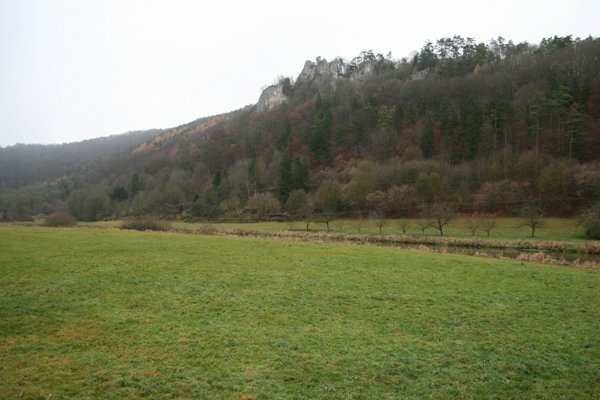 The Rusenschlossfelsen (Rock of the Rusen castle) as seen from the valley of the river Blau. You can’t see the castle on this picture because it is very small, but it sits pretty right on top of the rock. Crossing the river Blau on a small bridge, I noticed a nice assembly of waterfowl. This is an important thing for you to remember, although I was ignorant of their later role in my endeavor and pressed on immediately, only quickly scanning the Little grebes, Mallards and Common Moorhens for something rare, like – say – a thirsty wallcreeper. The walk to the base of the rocks leads through a highly structured, old-growth forest and, in spite of being a short walk, can be a bit exhausting especially to birders who are running uphill in a frenzy to see a wallcreeper creeping on the walls. The wet autumn leaves that covered the uphill tracks on the steep slope below the cliff faces also didn’t help. The forests and the cliffs were beautiful though, in the mist and drizzly rain. The forests and the cliffs were also quiet. Very quiet. Absolutely quiet. I started to comprehend the extend of the weather’s effect on birds: There were none. Whatsoever. I scanned the northern rock outcrop – nothing. I went / slided /fell towards the central rock outcrop – nothing. I crawled / balanced / slipped towards the southern outcrop – nothing. I went back all the way to the northern one – nothing. I repeated that routine – nothing. Well, okay, admittedly there were some birds around. I saw one Nuthatch that – for a second or two – even flew onto a rock to make for a good wallcreeper impression. Close but no cigar. Then of course I heard one or two Common Treecreepers and a Goldcrest. Neither close, nor a cigar. A Raven flew over, which I will readily admit is always nice, no matter how much you long for a wallcreeper. Flushing two Black Woodpeckers? Well, yes – some excitement, but not a wallcreeper. 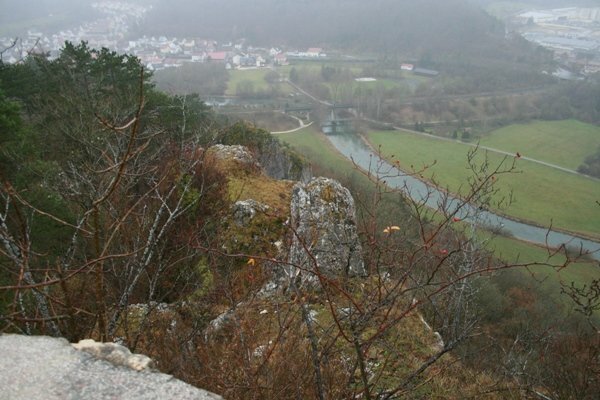 I finally – after about an hour’s scanning – considered that maybe I was scanning the wrong part of the cliff, the lower part, and that I could possibly be viewing the wallcreeper right now if I was standing on top of the rock within the ruins of Rusenschloss. So around the cliffs and uphill I went, and I’ll spare you the whining of climbing a very steep slope completely covered in wet autumn leaves, to finally arrive at the ruins. 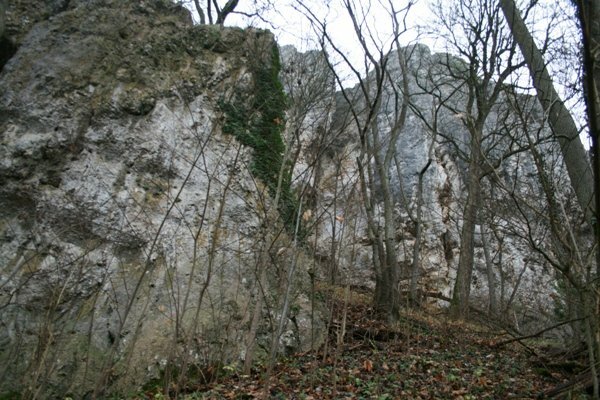 The upper parts of Rusenschloss rock. Without the wallcreeper. Wallcreeper? Nope. Good vista onto upper rocks to find wallcreeper? Ha! No way, Jose! I started my downhill journey towards the parking lot, admitting failure and defeat again. Over and over again. Then I paused to reconsider. Then I returned to the base of the cliffs. Then I scanned again, performed my castling routine again. Then I did not see the wallcreeper. Not see it over and over again. In the rain, and the mist, and the drizzle. Then sanity prevailed and I returned to the car. Upon crossing the bridge, my eyes fell upon the trusty and true waterfowl friends, and sensing my dismay, they came up to me and offered solace and comfort. Maybe they sought bread instead, which I didn’t offer, but were very supportive nonetheless during my little talk with them about the wallcreeper and the betrayal I had just experienced – again. And it warmed me so deeply inside that I thought I’d share their comments with you. They actually asked me to, in case some readers out there have experienced a similar fate with the wallcreeper. 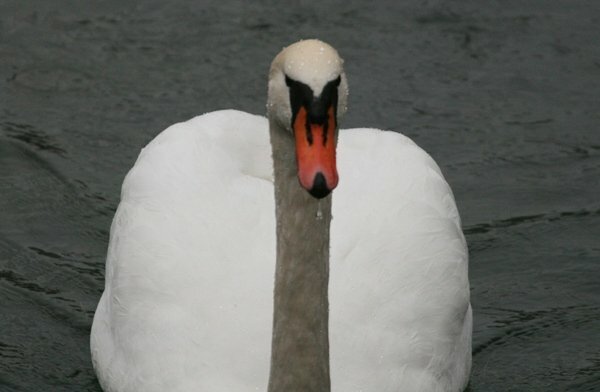 This Mute Swan mentions that it has never heard of a “wallcreeper”, so it is sure that there must be nothing worth hearing about. 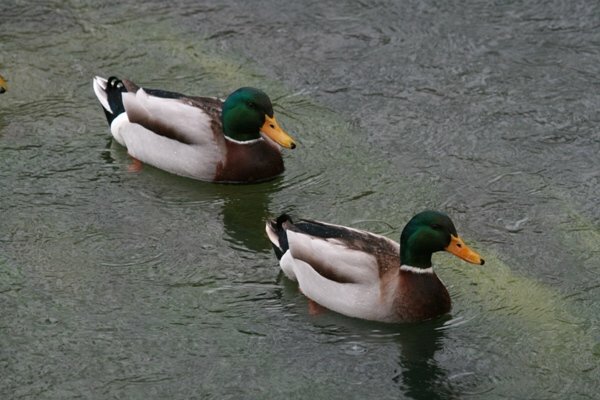 These drake Mallards would like you to know that they themselves are amongst the most beautiful of all the northern hemisphere’s birds, and that no one needs a wallcreeper when they can have Mallards. 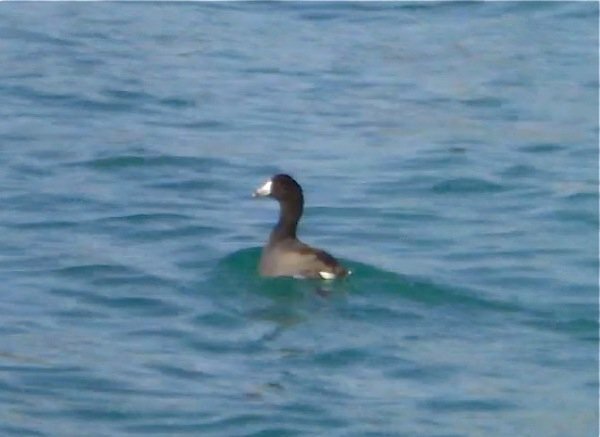 A coot. Coots loathe everything. They thrive on loathing. The only thing they don’t totally loathe are birders who loathe wallcreepers. This Great White Egret asserts that decurved bills look silly on passerines. This Great Cormorant advises that it had once caught a wallcreeper and it tasted like this. 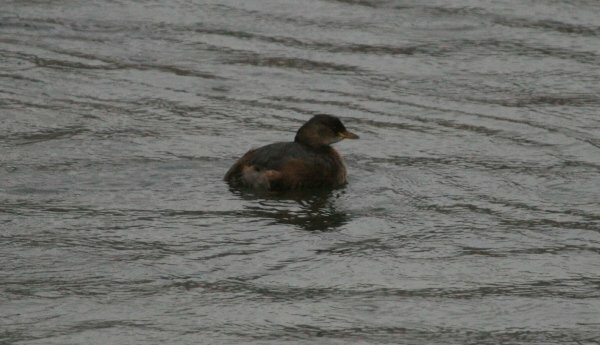 This Little Grebe considers grey & black soooo 1980’s and points out that brown is the new crimson. 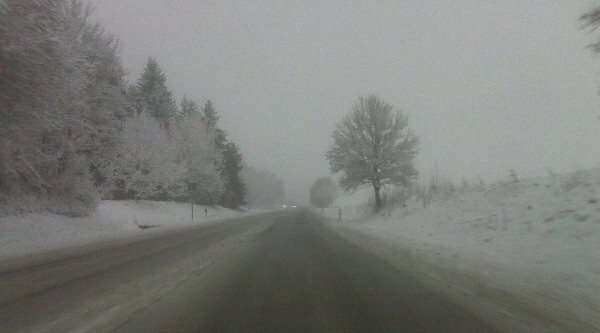 The weather hadn’t improved overnight. Dude… I don’t even know what to tell you. I mean the one Wallcreeper I saw, on a tip from you, was awesome. Flicking its red wings, while foraging about 50 yards away. A highlight bird for sure. If it makes you feel better, on this side of the pond my nemesis Evening Grosbeaks keep toying with me, while adding a few friends to taunt my discouragement, namely Red Crossbills. I think the story is even better without the Wallcreeper! Can’t wait for the next episode of this chase! I personally am disgusted at your offhand mention of Black Woodpeckers, which are clearly much cooler than Wallcreepers and also don’t taste like bird poop. I have it on good authority that they taste like unicorn tears. @Andy: thanks, pal. I guess you’ll have to visit Germany again and show me a wallcrapper. And I never had much trouble with your dang finches, so I’d return that favour on my next visit to the States, whenever that will be. @Clare: the trick is to go with me and stand on the opposite side of the cliff! @Corey: They’re all I’ve got. The wallcreeper isn’t the only one that got away. On that particular trip, I chased 7 species and got one! Since the end of August, my dip rate has been in the range of 80-90%, and I’ve officially called it a year birding-wise. I’ll have to update my year total with one, and that will be it. If you beat it, you’ve showed me! Your luck is disgraceful. As is the fact that you left for your Adirondacs trip without brushing your teeth in the morning. @Jochen: I just might manage to get past you – it depends on how much I can get out in California and if I can hit the variety of habitats that I want.